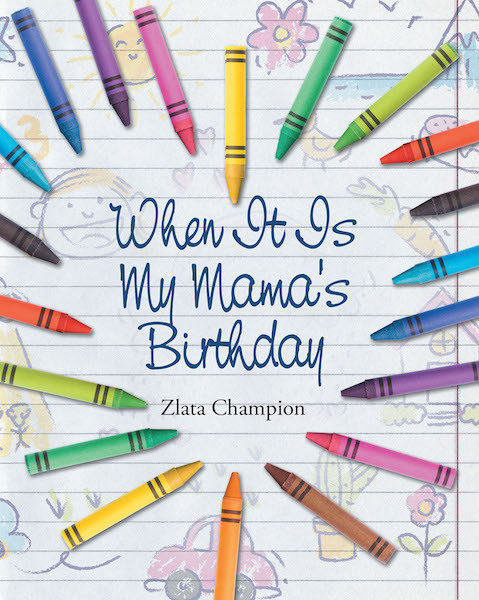 When It Is My Mama's Birthday, by author Zlata Champion with illustrations by Waldemar Hild, is a heartwarming dedication to mothers. The bright illustrations presenting a child's desire to create a beautiful, meaningful present for her mother makes this picture book a perfect fit for a special occasion. On the day of her mother's birthday, a girl wakes up early to make a drawing of the features that would describe her mother in a loving way. She uses five crayon colors to express the admiration for her mother. This story not only teaches kids to make connections between colors, senses, and feelings, but it also celebrates mothers' commitments to their children. With Waldemar Hild's touching illustrations combined with Zlata's heartfelt writing, When It Is My Mama's Birthday will be a treat for both children and adults.